That's right, time to talk about Ivern some more! Around his reveal I touched on some early impressions and ultimately wrote a rough guide for patch 6.20, but I still can't stop playing this tree hugging fool. I think Ivern is a very unique and refreshing addition to League's massive roster and is truly one of a kind. Combining the responsibilities of jungling and supporting with a synergistic character design is awesome, and I loved learning about Ivern's creation process. I've been playing him pretty consistently and I've probably played over 50 games with him, against a multitude of compositions and in all sorts of scenarios. 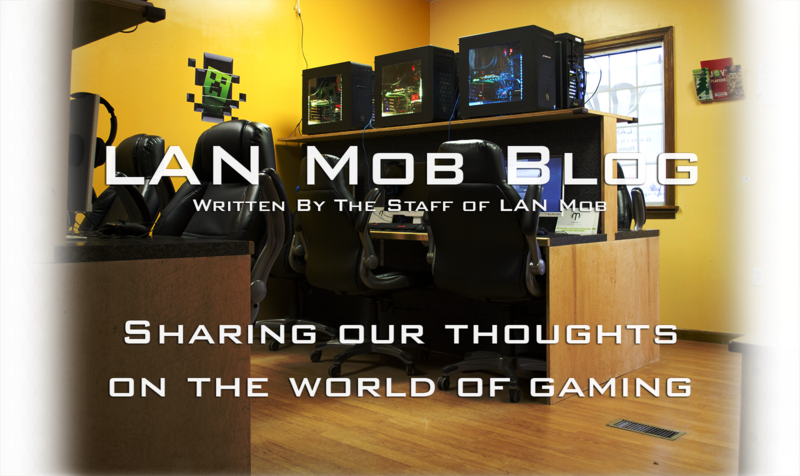 I'm sure some of LAN Mob's regulars are tired of me constantly talking about how much Ivern changes the way I've thought about jungling and his truly extraordinary character design, but I have a little more information to share. Check out my list of the Top 15 Dos and Donts for Ivern, the Green Father! "Trust me, you need this!" 1) Invade at level one. This sounds like a strange tip considering Ivern's blatant weaknesses, but communicate the objective with your team and group up early. Take Q at level one and move as a unit to get early jungle vision wards down and counter jungle accordingly, or even sometimes pick up a very early kill with some CC. This strategy has almost consistently netted me a 3 buff start thanks to Ivern's incredibly unique passive. 2) Speaking of communication, make sure your team is aware of your level 5 passive and utilize the strength of having 3 buffed team members pretty consistently. 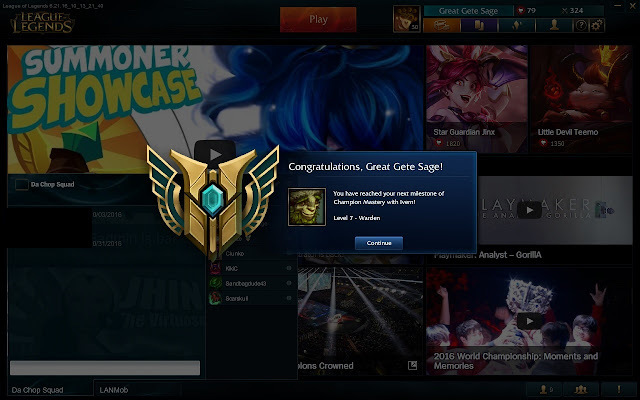 Don't be afraid to remind your team of the saplings! It's a weird mechanic that players sometimes forget about, luckily there is an automatic ping when you release Red Brambleback or Blue Sentinel. 3) Please for the love of god take a jungle item. Due to Friend of the Forest, Ivern's Passive, I see a lot of Ivern players discussing whether or not a "smite item" is necessary. It is true that thanks to Friend of the Forest Ivern does not need these items to clear basic camps, but there are plenty other beneficial effects to building these items. Considering late game neutral objective control and the utility of Chilling/Challenging Smite or Tracker's Knife...come on now. All of this utility before you even add an enchantment! Runic Echoes on a Skirmisher's Sabre is one of my favorite combinations but a lot of these combinations work in tandem with Ivern's play style. 4) While on the subject of item builds, ALWAYS build Rylai's Crystal Sceptor. The passive on Ivern's W allows him to attack with ranged auto attacks that do bonus AP damage on hit based on W's level. Rylai's allows Ivern to gank a lane and immediately start applying a slow to the opponent thanks to his W's passive empowered auto attacks and create a lot of pressure. This combination alone is enough to blow some flashes sometimes, thanks to the opportunity it gives your laner to attack. Outside of Rylai's I think there's a plethora of items that work well on Ivern in certain situations, but Rylai's is incredibly synergistic with W, Triggerseed and even Daisy can apply the slow effect with her autos. In fact, when Daisy's 3rd auto attack procs, Rylai's essentially creates a small Braum ult! 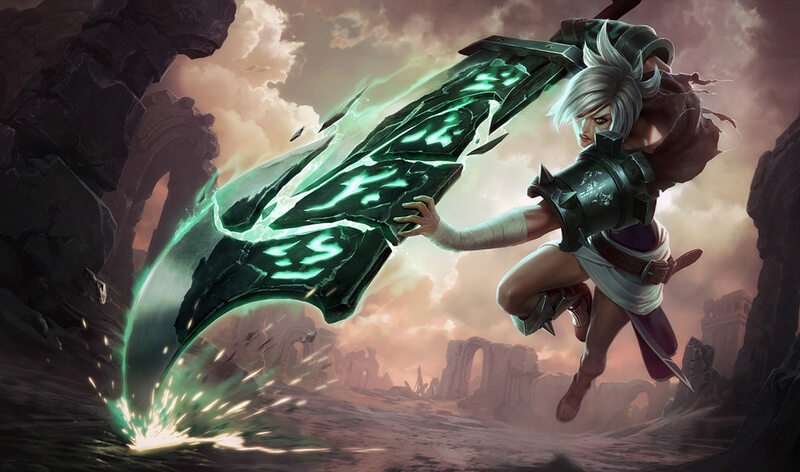 Honestly Jungle Riven isn't much to write home about, but she has her strengths, with one of them being her ability to duel. However, thanks to Ivern's kit, I've had no problem at all dealing with this odd pick whenever it comes up (which has been a lot lately for some reason). Ivern's Q interrupts Riven's attempts to close distance so she can 1v1 you (scrub) and Triggerseed buys a lot of time for your team to collapse on an overly confident Riven. It's also important to note dropping Daisy between yourself and your opponent can be a huge pain for a champion like Riven. Not to mention Riven's less than great early clear, which allows Ivern to save a lot of her camps before she can break them. A much more meta match-up, but another I have found great success in. 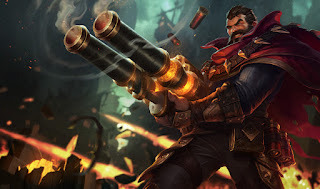 Graves has good clear, but with some wards, stealing some of these camps isn't impossible at all. When it comes to bullying Graves back, sending Daisy his way while you quickly Grove and Smite a buff away from him is very efficient. Triggerseed can protect you from his infamous burst while Daisy slaps him around and hinders his autos. I find it relatively simple to counter gank the Outlaw and make his life incredibly annoying. It's also important to note how frustrating Brushmaker can be when Graves is looking for vision to blow somebody away. 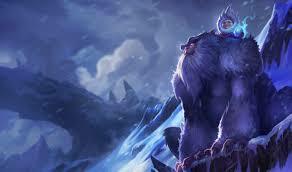 The last match-up (and my favorite) I'll cover here is Nunu, the Yeti Rider. Despite Nunu's powerful buffs in the latest patch, Nunu and Ivern are objectively very similar champions. Focused on setting your team up to succeed while disrupting the enemy jungler, both champions spend a lot of time considering jungle routes and counter-jungling while traversing the Rift. However, I believe Ivern's ganks are capable of putting Nunu at a disadvantage, while still causing trouble in his jungle thanks to his delayed passive. This match-up feels like nothing short of a chess match...between a Yeti and a Tree, with the prize being map control. It's a ton of fun when both player's are relatively equal in skill. 6) Ivern's abilities have a whole lot going for them, interacting with the Rift in a multitude of weird ways. Utilize these abilities to their fullest! - Rootcaller (Ivern's Q) is primarily used to root champions and give your team an engage option thanks to it's passive. However make sure to utilize Q to traverse the jungle by hitting a camp and closing the distance. - Triggerseed (Ivern's E) ends up being a pretty low cooldown shield for your teammates during fights. However, make sure to throw a Triggerseed on a teammate who is aggressively winning a fight, or even a Caitlin/Jhin/Karthus about to confirm some long range kills. Even if your teammate isn't protected from anything in particular, you'll net yourself an assist anyway! 7) Unfortunately, Daisy! (Ivern's R) can be a little buggy, but it definitely doesn't happen too often. Daisy! creates a lot of unique and weird situations for Ivern and your team, but one of the strongest maneuvers with Daisy is tower diving. Don't be afraid to do it. While communicating with your team, an initial Daisy drop is capable of running down opponents while tanking tower shots and creating a whole lot of chaos right under their tower. It's important to understand tower mechanics and range, and Daisy will unfortunately end up earning Ivern the tower aggro, but if done properly and using Triggerseed, you can come out relatively unscathed and earn some kills for your laners. 8) Don't try to fight everything. Especially duels. It's important to pick your battles with Ivern, because he's not particularly amazing at them. As I mentioned above, Ivern is designed to help your teammates succeed and if your team already picked a very bad fight, Ivern isn't always capable of turning the tide. Consider Summoner Spells and Ultimates when skirmishing, and support your carries during TFs. Don't be afraid to run when things are grim! 9) Don't forget the mechanics of brushes and their interaction with other champions. Caitlyn's Headshot, Nidalee's Prowl, Teemo's Camouflage and of course Rengar's Unseen Predator all have normal interactions with Ivern's Brushmaker, even on the enemy team. Oh boy, this is not a fun one. Ivern's love of sprouting up brushes does nothing but benefit the Pridestalker. Rengar is capable of squelching you at level 6, dueling you constantly while you try to move around the map, and using your brushes to consistently activate Unseen Predator and cause havoc in fights. 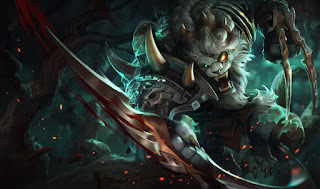 Of course, it's not impossible to win a game against a Rengar, but a solid Rengar player will use your own kit against you and try to force his way into your jungle. Even though Syndra is not a direct jungle match-up, she can make life as Ivern incredibly difficult from her mid-lane home. Not only is Syndra's Q great at checking your brushes, whether they be bluffs or not, but she can force you to reconsider walking forward thanks to Scatter the Weak. Syndra can cast Force of Will on Daisy and send her crashing down on Ivern, adding insult to injury. Not only because she's currently in meta, but Syndra is incredibly powerful and it's critical to understand how squishy you are early. No need to lose your life to Unleashed Power for no reason. 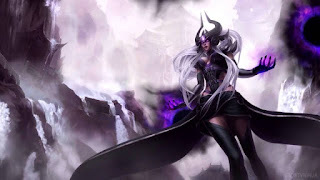 Syndra demands her space in lane, and proves to be difficult to gank or even pressure as the Green Father. Lee Sin is the absolute bane of my existence while playing Ivern. 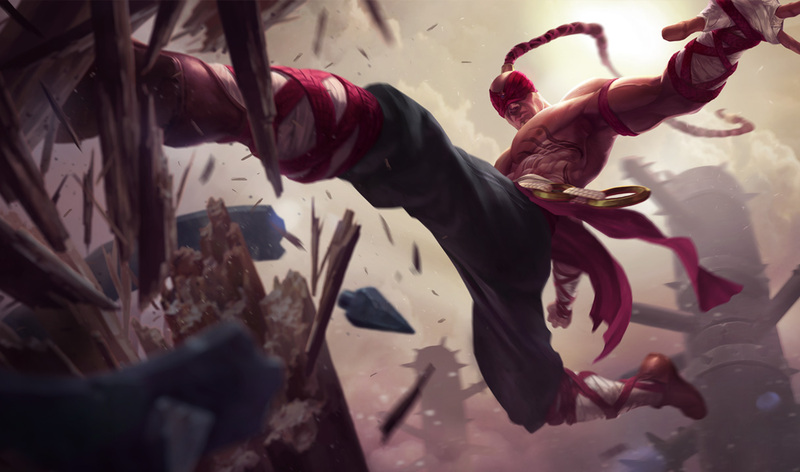 Insanely mobile, an incredible duelist and an excellent counter jungler, Lee Sin has the tools needed to keep Ivern oppressed and hiding in the jungle. He's capable of winning a 1v1 at almost any time during laning phase and slipping away in Lee Sin fashion. Thanks to ward hoping via Safeguard and activating Tempest to acquire vision while you're attempting to hide, it's incredibly difficult to plug away at a Lee Sin who is in your face. Just like Syndra, it's also very arduous to attempt to use Daisy to your advantage against the Blind Monk. He can make very short work out of her with his kit and even use Dragon's Rage to send her flying back into Ivern's face. 11) A more delicate issue that has sprouted up a few times in my early Ivern games was using Brushmaker incredibly improperly. While ganking or sieging it's beneficial to set up some brushes ahead of you so you can benefit from W's passive and get ranged auto attacks. However, you can sometimes find yourself in a situation where you have created too much brush in an attempted siege and cut off vision for your own lane. It's a rookie mistake and I learned quickly, but one early instance was against an Annie in mid lane. I created a line of brush to begin a siege while ganking, but due to the path the brush was laid down, it created a vision pocket for Annie to hide behind, much to LML Taggles' despair. He lost all vision of the enemy tower as well as his opponent. Woops. Don't do that. 13) Don't max E first. Triggerseed is definitely an excellent ability with a ton of uses and maxing it lowers it's cooldown and increases the size of the shield and damage of the burst. However, despite some back and forth in Ivern discussions, I find maxing W to be way more beneficial in every way. Maxing W increases the range at which Ivern can spawn brush, how fast his charges replenish and even how much damage his brush empowered autos do. Much more efficient earlier and even allows you to win some surprising fights! 14) Okay time to talk about something besides Brushmaker. Daisy isn't an incredible ultimate ability but there's a lot going for Ivern's Sentinel friend, especially in small skirmishes. However, do NOT throw Daisy out willy-nilly during a siege or stand off without a clear goal. Spawning Daisy in a 5v5 as the only engage will accomplish absolutely nothing, especially late game. Daisy will die before even attacking a single opponent if she is focused properly. Currently at max rank (level 16) Daisy is only packing 3000 health, and while Ivern is looking at some possible buffs soon, including a bloat to Daisy's health pool, it's still very easy for a late game team to rip through Daisy. Don't sacrifice Daisy for no reason! I sincerely hope these tips and pieces of advice have been helpful. Ivern is semi-difficult and really requires one to think a little bit differently about the flow of a game of League. I guess if I had to say what my "main" jungle champions have been over the years, Shaco and KhaZix would probably fit the bill even though I'll pretty much play anything. That being said, playing the "support jungler" makes for an approach unlike any other jungler in the game, even mechanically difficult ones, and can really assist your thought process while playing other champions. Before I head back on the Rift with Ivern to cause havoc and listen to him say things like "My favorite color is spring! ", "Potatoes are always watching." and "Have an Ivern-Crisp apple! Don't ask how I make them...", I have one more INCREDIBLY IMPORTANT TIP. 15) DO NOT use the Candy King Ivern skin. It's creepy and makes everyone feel bad. Are you familiar with what nightmare fuel is? This is nightmare fuel.